The call to 911 was made Tuesday morning after the teen's grandmother found what she believed were "upcoming and credible threats" to shoot students at his high school. An Everett teen who was arrested on investigation of attempted murder Tuesday noted in his journal that he’d learned from other mass school shootings, wanted to make the body count as high as possible and wrote he couldn’t “wait to walk into that class and blow all those (expletives) away,” according to police. 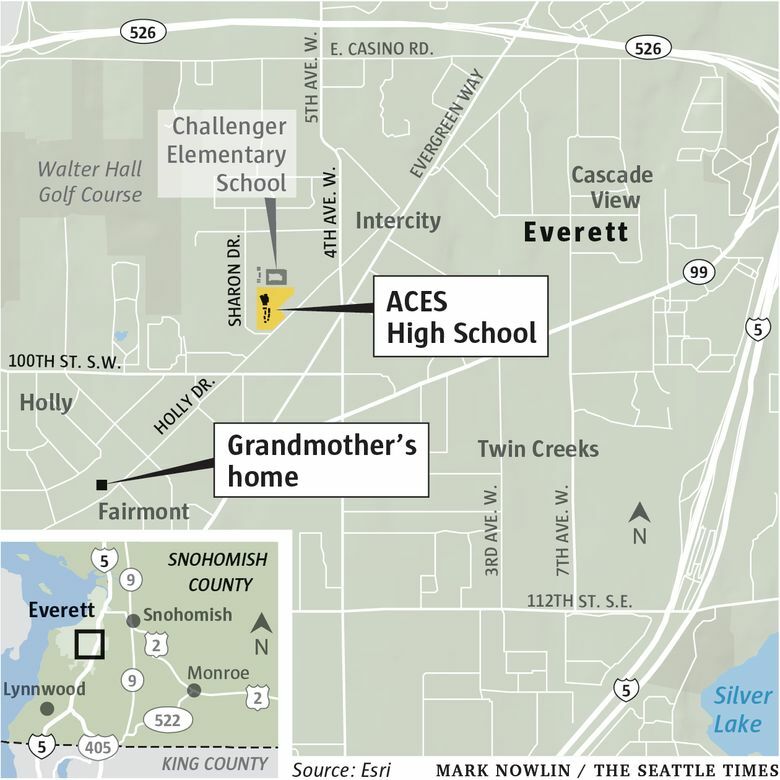 The 18-year-old student was arrested at ACES High School after his grandmother called police to report that she had read a few pages of her grandson’s journal and was alarmed, according to the document of probable cause submitted by the Snohomish County Prosecuting Attorney’s Office. According to court documents, the 18-year-old, who The Seattle Times is not naming because he has not been formally charged with a crime, wrote about shooting up his school, making pressure bombs, filling inert grenades with “black powder” and hiding a rifle in his guitar case. The 18-year-old goes on to write about it being “a coin toss” about which school to shoot up: his former school, Kamiak, or his current one, ACES. He then writes about how ACES “won” the coin toss, the probable-cause document says. The teen’s grandmother then looked in her grandson’s guitar case, found a semi-automatic rifle inside and was shocked to find it seemed he was close to carrying out the detailed plans he wrote about, court documents say. She told police she had not known he had a rifle, the court documents say. Police peeked inside the teen’s room, saw two military grenades and left to get a warrant. Upon searching the room, police found evidence that the teen had been involved in an armed robbery at a nearby convenience store Monday in which two people wearing novelty masks entered the store and demanded money, prosecutors allege. Police took the 18-year-old to the South Everett precinct where he reportedly pulled one hand from his cuffs and ran, court documents allege. He fell on a strip of bark and then “mule-kicked” the officer that came after him, police say. He was booked into the Snohomish County Jail on investigation of attempted murder, robbery and assault on an officer.